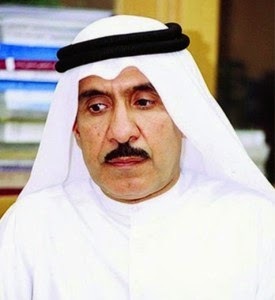 Recently Haifan Baha’is deceived Dr. ‘Abdu’l-Hamid Al-Ansari, (a former dean in Islamic studies and law at the University of Qatar) by presenting him the case of fake Ayatollah Masoumi Tehrani of Iran and then taking Baha’i favoring statements from him and publicizing them. The Bahá’í Religion in Qatar has its origins in the late 1940s when a number of Bahá’í families settled in this beautiful land with the purpose of establishing a branch of this ‘NWO cult’. They worked deceptively with the locals and fooled the Qataris with the feel-good, rosy slogans of Equality, Brotherhood and Betterment of World. Third and fourth generations of these early Bahá’ís (mostly Iranians) along with some foreigners (from around 20 different countries) are still living and working in this land and carrying out their deceptive conversion activities. The Bahá’ís portray their cult as a world religion, with millions (???) of followers from all races, cultures and social backgrounds whose goal is the recognition of the Unity of Mankind!!! Bahá’ís spread their cult through deceptive techniques exposed on regular basis by Ex-Bahá’ís. Their slogans like… “achieving world unity through actively contributing to the betterment of the world and advancement of civilization” is very famous and now-a-days everyone is aware of this type of rosy slogans. Just listen to Bahá’í Counselor Gloria Javed and read the writings of Bahá’í author Moojan Momen on how they convert innocent people under the disguise of Moral Activities. The Bahá’í International Community is also registered with the United Nations as an International Non-Governmental Organization (NGO) with affiliates in more than 180 countries and is highly influential in the international arena. It has special consultative status with many UN bodies and for this reason it gets easy recognition in different countries. It also receives enough support from western imperialist countries. Over the years, Apparently, the Bahá’ís in Qatar have demonstrated obedience to the government. Mostly these Bahá’ís are Iranians and have managed to convert many local Qataris using their beautiful slogans and techniques of conversion taught to them by their Supreme Bodies in Israel. For instance read the wordings of UHJ that says it has succeeded in establishing a Pattern of “Bahá’í Life” with the help of these “Moral and Spiritual Bahá’í Programs” directed at various countries. Over the course of three successive epochs now, the Bahá’í community has laboured assiduously within the framework of the global Plans issued by the House of Justice and has succeeded in establishing a pattern of Bahá’í life that promotes the spiritual development of the individual and channels the collective energies of its members towards the spiritual revival of society. Although these programs of Conversion are going on worldwide but the success achieved is very little. Their agendas have been exposed worldwide and they have been put under strict observation by various governments including Israel, India, Iraq, Iran, Uzbekistan, Indonesia, Malaysia (here they are strictly told not to teach Muslims), Saudi Arabia, Pakistan, Egypt and many other countries. Recently a small article appeared in their newsletter that states : “A workshop for youth was held at a winter school in Doha. Deepening (this is done to make new believers strong) was also held for the communities of Umm Salal and Rayyan (Bahá’ís are also active in Al-Khour). Some writings of UHJ were read and distributed to those attending and ‘12 Lessons’, a course on how to teach and convert Qatari people, was translated into Arabic. I hope the Government of Qatar is also keeping a watchful eye on these cultists, as they have transferred millions of dollars through various channels to Israel. In September 2011 the Bahá’ís of Qatar sent 100,000 dollars to Israel under the pretext of various Bahá’í funds. This amount was given to Bahá’í Counsellor Nadera Fikri, a Jordanian, who has been appointed as an in-charge for Qatar by the Supreme Body UHJ.